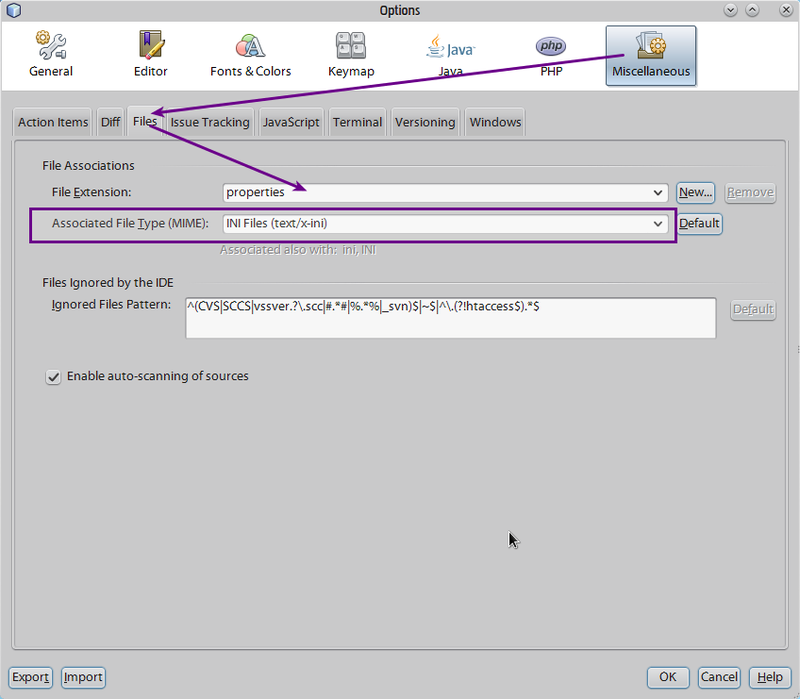 A workaround is quite simple – make Netbeans think .properties are .ini files. The drawback is that .ini editor seems to activate the PHP plugin. I haven’t noticed it to slow down the IDE though.